Kent Residential Lettings are a long established property lettings agent with a wide variety of properties throughout Medway and some other parts of Kent. 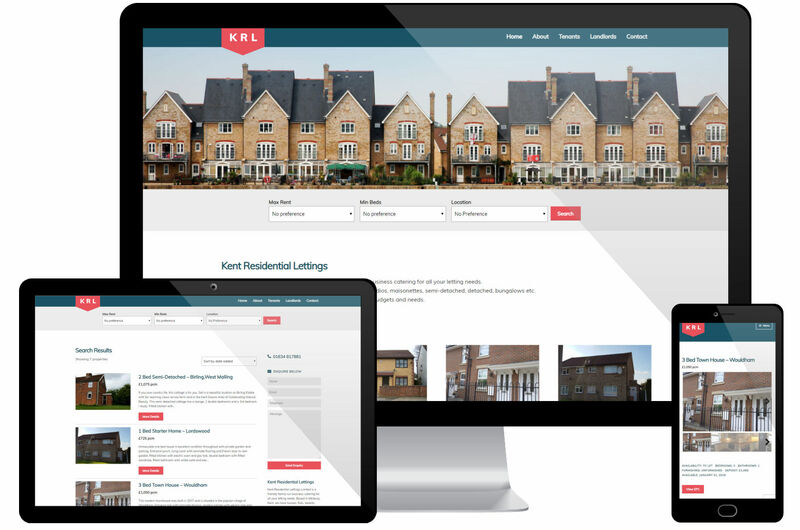 Their website needed to provide the usual property sales/lettings functionality. That is, the facility for them to be able to upload new properties with all of their details, images, etc. Their own staff manage the properties on the site, with available help from us should they need it. The website system will shortly be extended to offer integration with other large house sales/rentals websites, such as Rightmove, Zoopla and OnTheMarket. Phase two of this project will not affect how anything looks on their own site but will save many hours of repeated work.